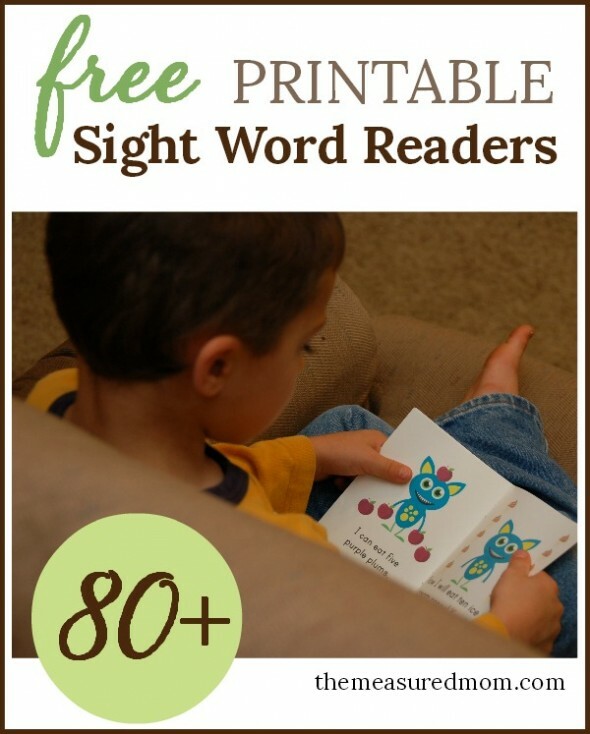 Here’s the newest installment in my set of sight word readers designed for beginning readers! 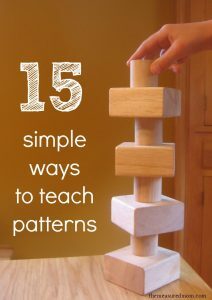 If these look too challenging for your child or student, then take a step back and check out my other sets. 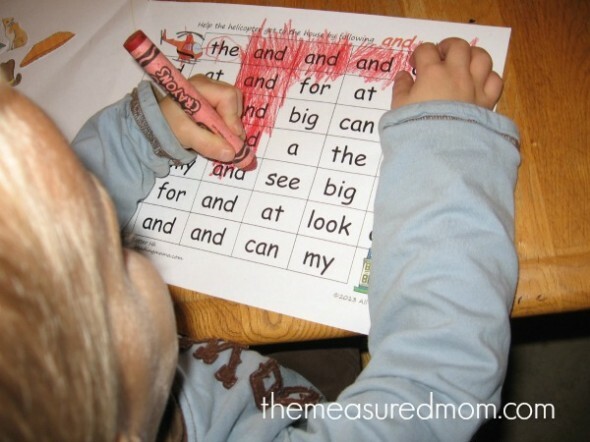 They start simple and add a new sight word with every set. 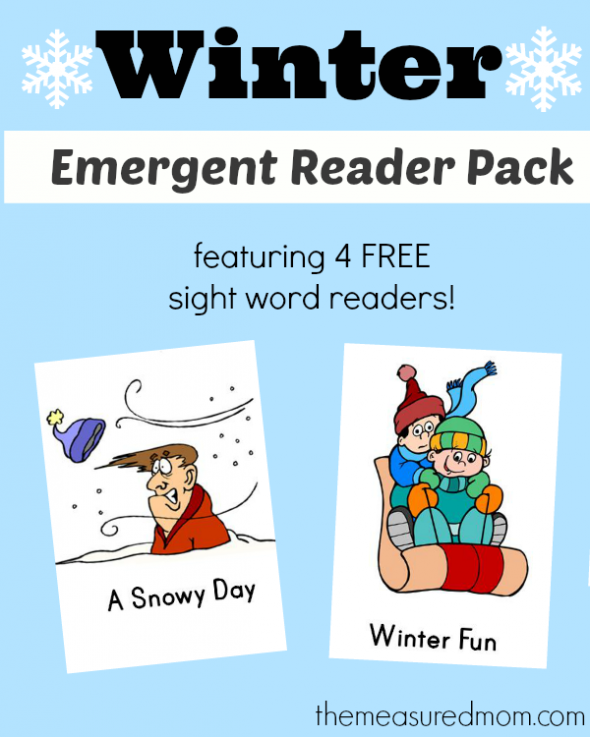 Each set has four FREE readers that you can print and use at home or in the classroom. 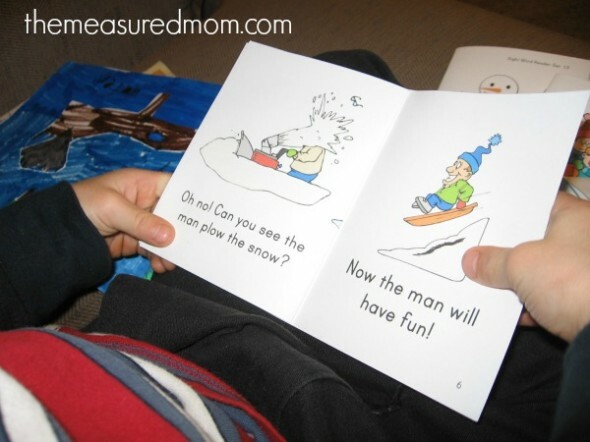 I like to share the reading activities that I do with my boys to show that the emergent readers are just one piece of the learning-to-read process at our house. 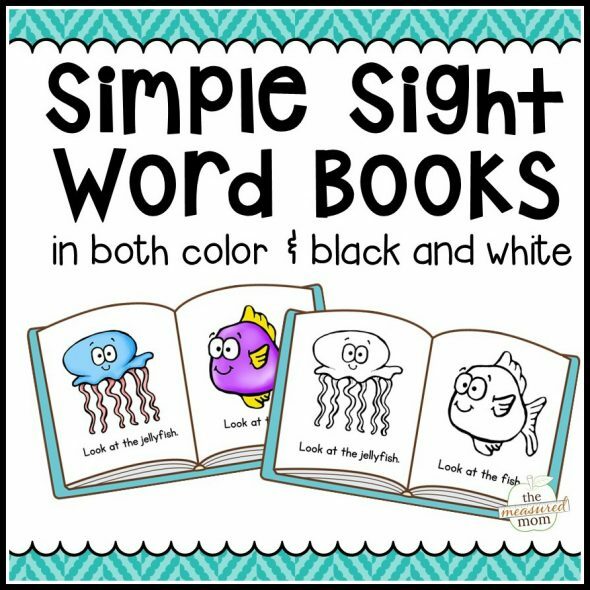 Both my Three and Five did this simple coloring page to practice sight words that we’ve learned recently (also from Reading the Alphabet lesson 15). My Three loves to cut and paste the rhyming words around the center picture (from Reading the Alphabet). 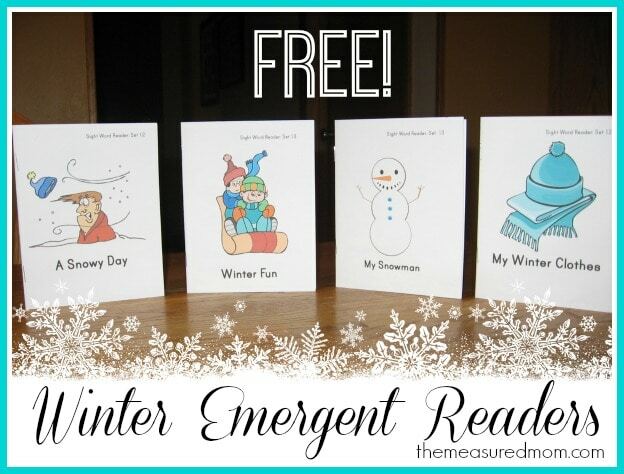 My Three enjoys the simple emergent reader that comes with each lesson of Reading the Alphabet. 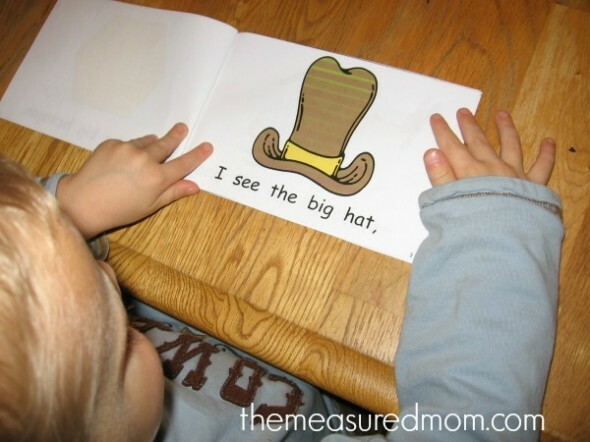 The supplemental emergent readers that I’m sharing today have become too hard for him – but reading these new books each week (and reviewing the old ones) has helped him get a good handle on beginning sight words and also given him confidence as a beginning reader. We adapted Word Family Slam from Toddler Approved. 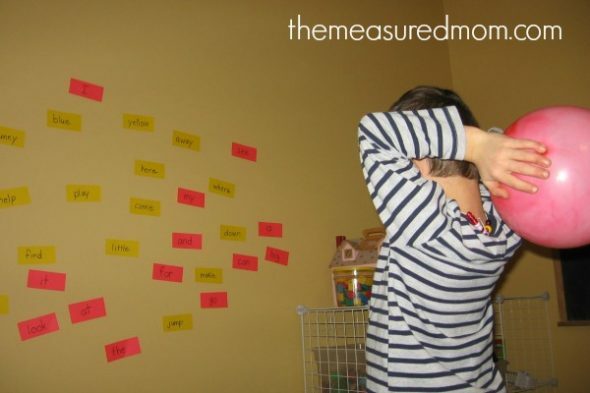 I wrote the sight words on colorful cards, taped them to the wall, and the boys took turns reading a word and SLAMMING it. A great energy burner on these cold winter evenings! 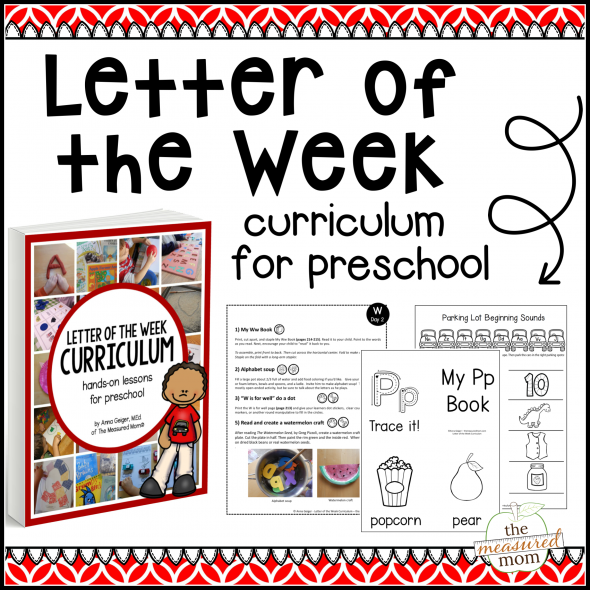 For my Three, I used all the words we’ve learned so far in Reading the Alphabet (on pink). Since my Five’s reading is really starting to pick up, I chose pre-primer words from the Dolch sight word list. 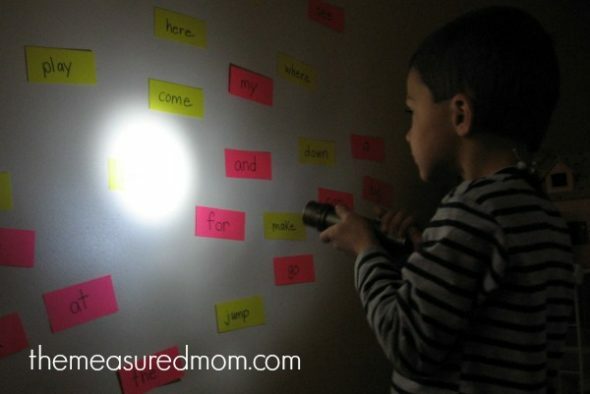 I adapted Sight Word Spotlight from A Little Learning for Two. Since flashlights are very popular in our house, and it’s getting dark by 4:30 in the evening, I had the boys take turns finding words with their flashlights and reading them aloud. My Three, who is not yet sounding out words but still mastering beginning sounds, did his set of Beginning Sound Match Mats. My Five, who is getting quite fluent at sounding out short vowel words, did some Read ‘n Stick mats (find them on my Teaching Reading page). Because something has “clicked” for my Five, his reading is improving at a much more rapid pace than when I began creating these readers. 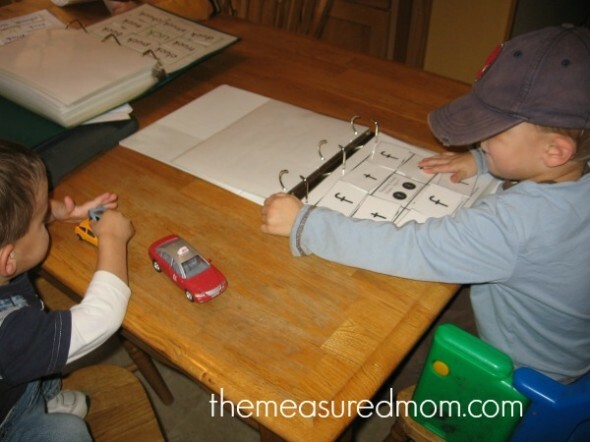 However, he does have a lot to learn about phonics – so I try to add in words that he will need to sound out — or even sight words that I haven’t introduced yet that he can figure out with the context. 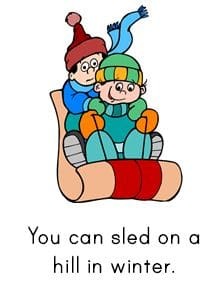 You can slide on a hill in winter. Look back at that for a second. Does that say slide? 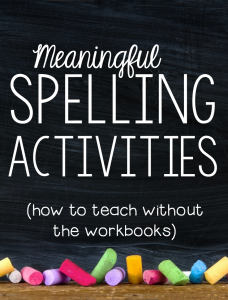 You may get an opportunity to teach or review some basic phonics. You can m– I don’t know that word. Look at the last letter. Remember what I said happens when you put an e at the end of some words? Remember to be ready to slow down and listen to your child laugh at the story, connect it to his own life, or ask questions. 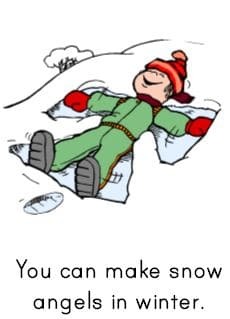 I admit that I was getting frustrated when my Five kept asking why the man’s snow blower blew snow in his face (after he stopped laughing). What exactly went wrong with the machine? Why would it do that? Cut across the horizontal center of each page. Insert one set of pages into the other, paying attention to the page numbers. Staple with a long-armed stapler. Check out the rest of our collection! 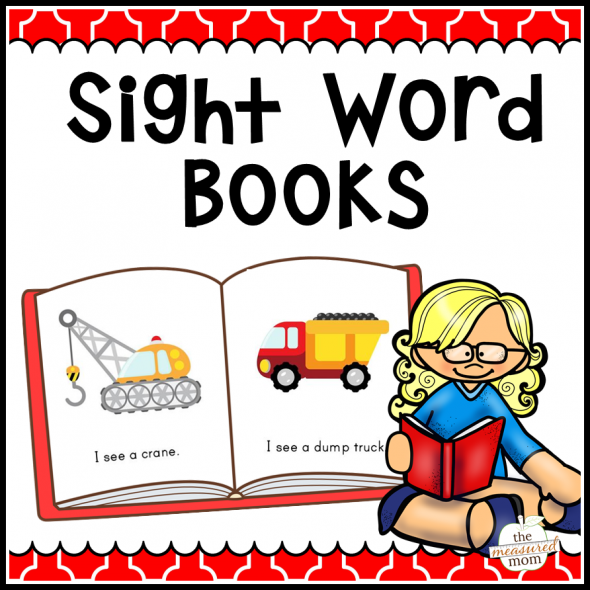 Get all our sight word books in a single purchase! 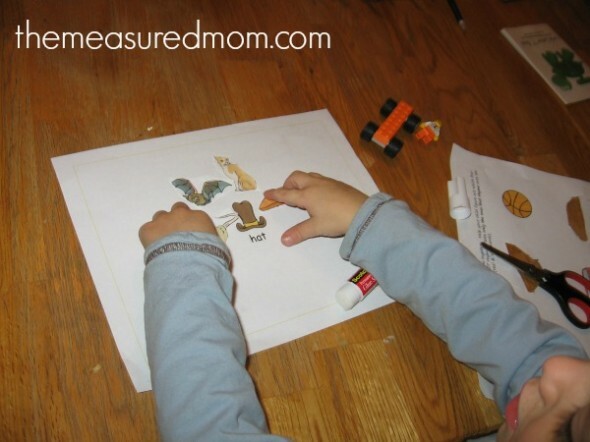 Teach the same sight words with this simpler set. My kids are loving these! What an amazing variety of way to work on site words! 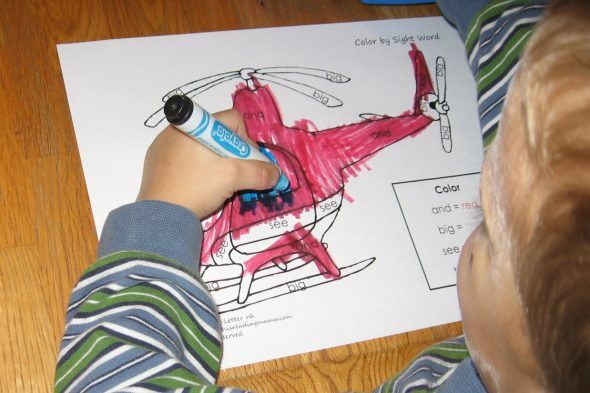 My 4 year old would love the helicopter maze! It amazes me how many different ways there are to work on sight words! It’s fun to uncover new ones as I release a new set of readers. 🙂 Thanks for stopping by! These are great! Pinned it! Thanks for sharing at TGIF! 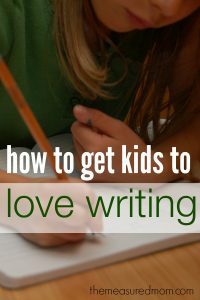 I am looking forward to trying this with my five-year-old as well. Thank you! Great – I hope you get good use out of them, Christy! I’m so glad you can use these, Angela!! Thank you so much for commenting to let me know. Thanks for this great resource. Pinned. I am able to print out 1 story every week for my classroom of 20 students and 4 students that I serve for intervention for free at my local library. 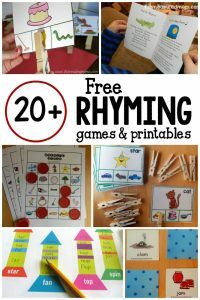 These are awesome resources for my students to be able to have at home. Love them!! I love to hear that, Tami! Thank you so much! !